I love eating Keto style, but it can be hard to find good low carb substitutes. Most of the substitutes are nothing like the real thing. I often think they taste weird and have very unpleasant textures. 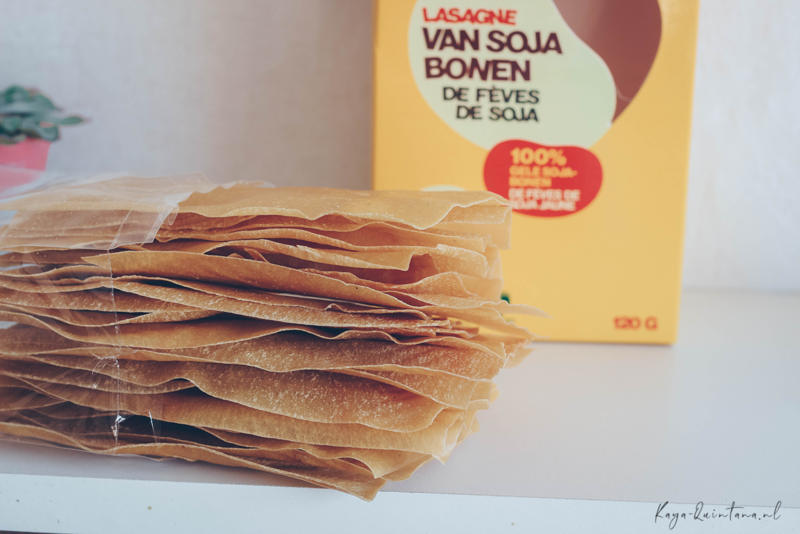 That’s why I’m pleasantly surprised by the low carb lasagna sheets made from yellow soy beans by Risenta. 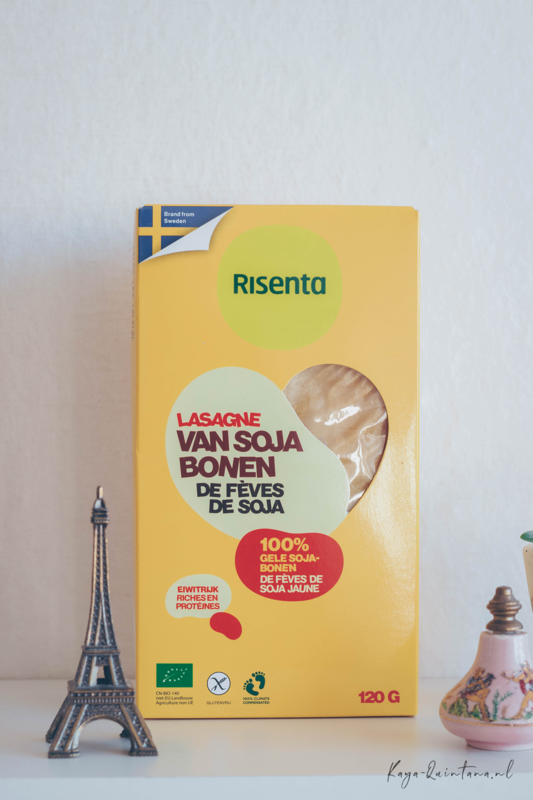 This Swedish brand recently came to the Netherlands and their PR agency gifted me my first Risenta lasagna sheets. 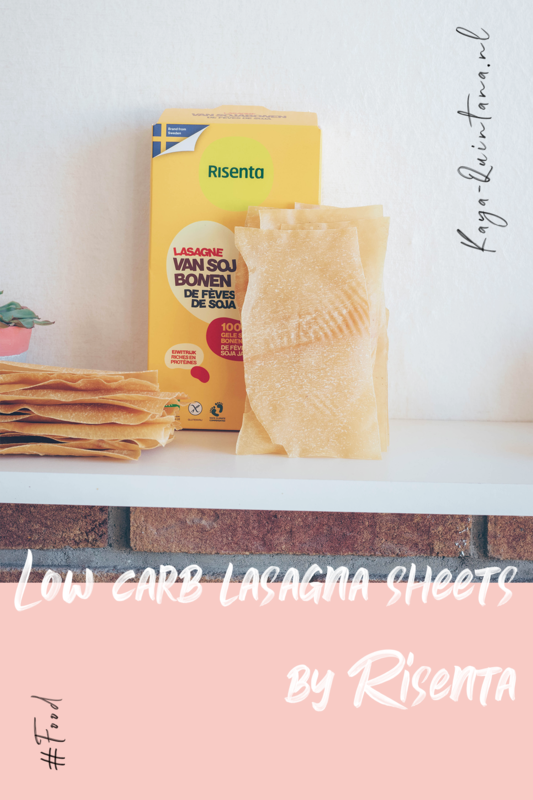 I’m very happy they did, because these low carb lasagna sheets are the real deal. 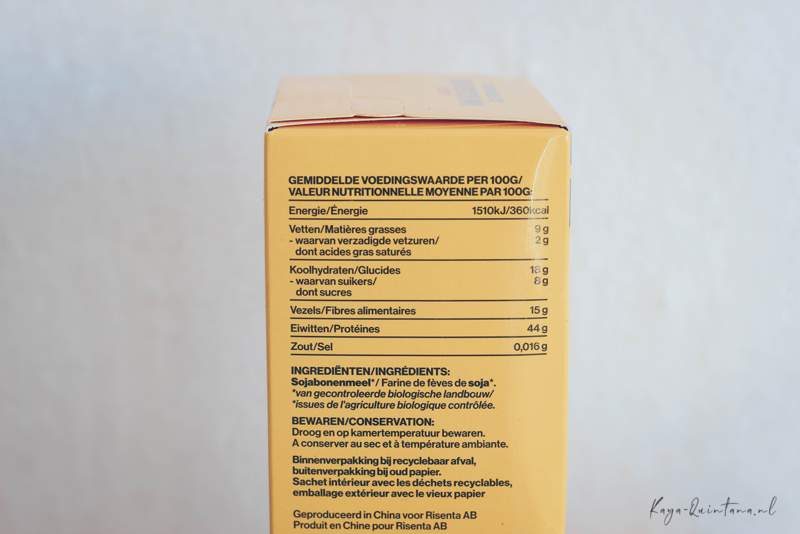 The Risenta lasagna sheets costs €2,87 at the Dutch supermarket Albert Heijn. You’ll find 120 grams of these low carb lasagna sheets in the box. Which comes down to about 26 sheets. These low carb lasagna sheets are thinner than regular lasagna sheets. They also smell different, I would describe it as very earth-ish or like an intense herbal tea. You only smell it when you hold the sheets very close to your nose. So don’t worry, they don’t smell too intense. As you can see on the pictures, the sheets aren’t perfectly sliced and diced. It doesn’t matter much to me, but it did catch my attention. Probably because I’m so used to perfect sized processed pasta. Maybe it’s because these low carb lasagna sheets are made of organic yellow soy beans only. They might be a little harder to handle than the flours that they usually use for pasta. Either way, it’s really nice to know that it’s a very clean product. According to Risenta the lasagna sheets are also gluten free, high in protein and low carb compared to normal lasagna sheets. Which makes them perfect for Keto! Let’s talk macros for a minute, because I bet you’re curious about those. 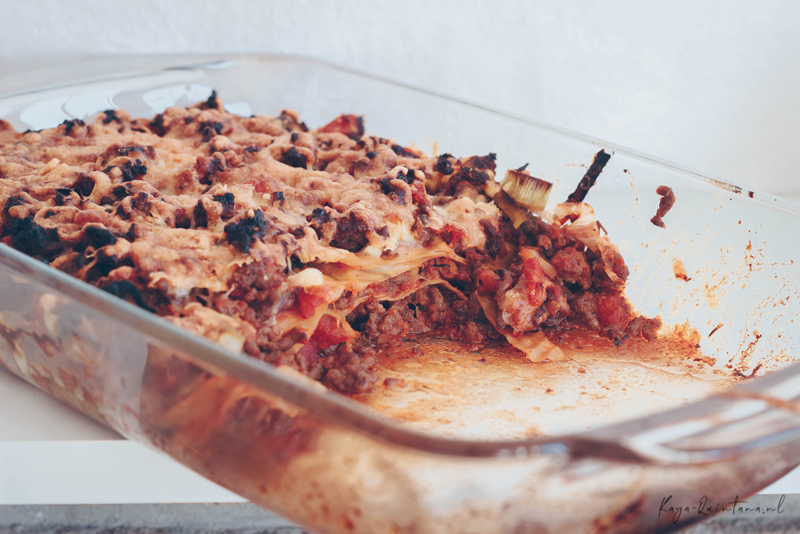 A hundred grams of these lasagna sheets contain 9 grams of fat, 44 grams of protein and 18 grams of carbs. 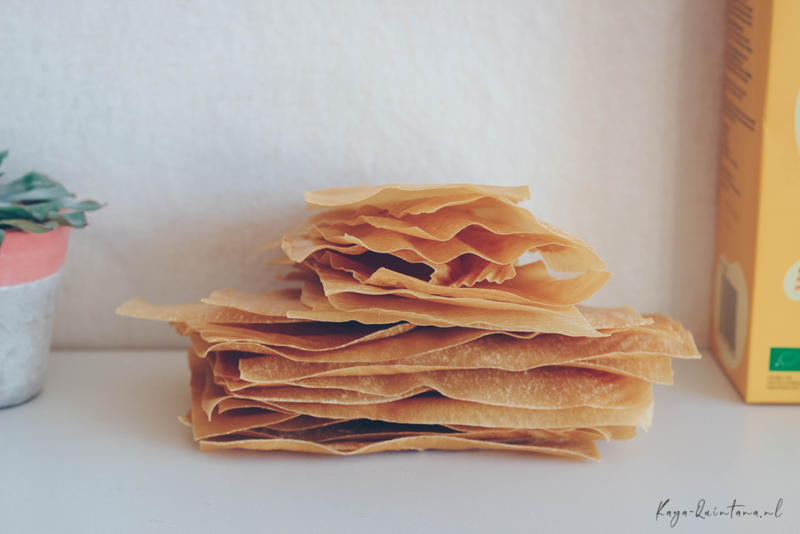 Which comes down to less than 1 gram of carbs per sheet. Now, that’s low carb if you ask me! 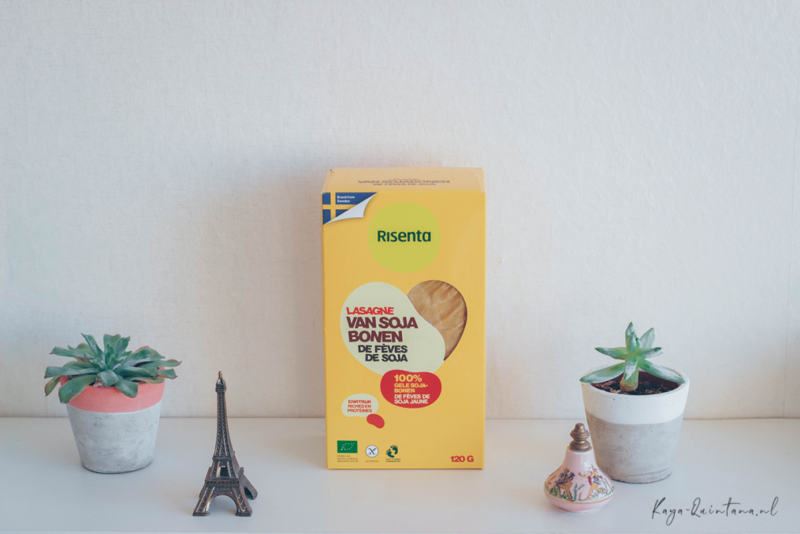 Risenta recommends using the entire box of 120 grams for four people. I’m just by myself and I used about eight sheets for two to four servings. My oven tray simply isn’t deep enough to fit in more sheets without having to squash everything. But what does it taste like? Well, like I said in the beginning I’m pleasantly surprised. 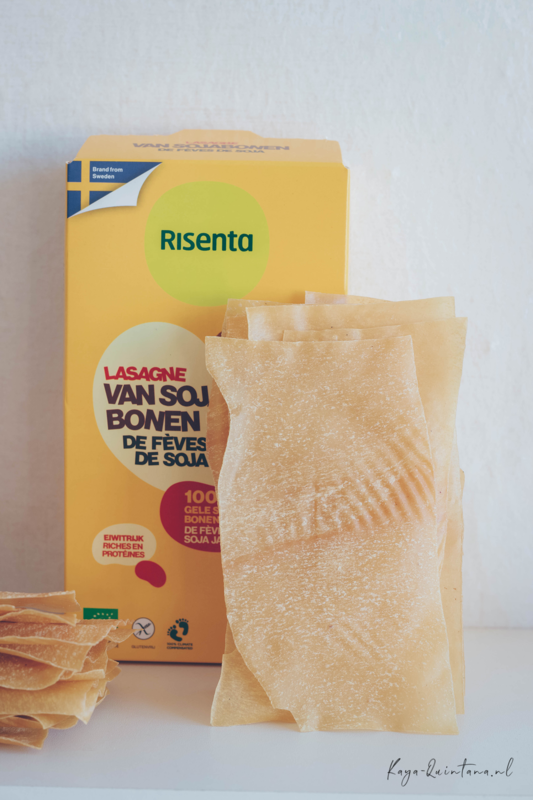 I think I even prefer these Risenta lasagne sheets made of yellow soybean’s over normal ones. First of all, I love a good lasagne. But it often weighs to heavy on my stomach and makes me feel sluggish afterwards. 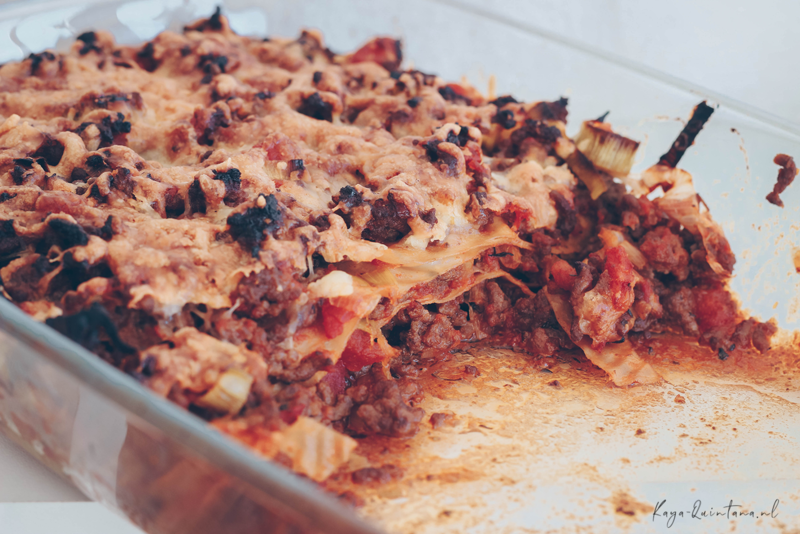 These low carb lasagna sheets are thinner, but they also didn’t upset my stomach. They do have a different structure compared to normal lasagna sheets. To be honest, it’s not weird at all! They’re actually really nice to chew on. They’re less dough-ish and they have similar bite compared to rice noodles. The texture gets a ten from me. The flavor is very neutral. I barely tasted anything to be fair, which made the lasagna sauce shine. 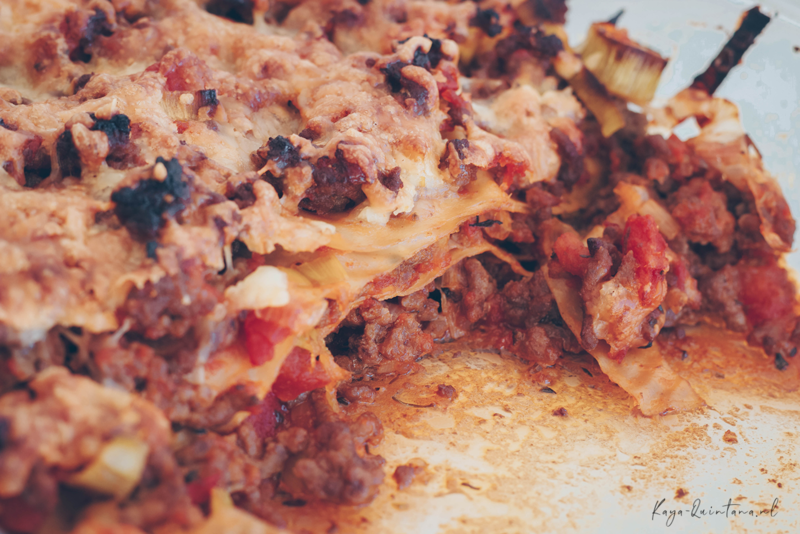 To make it very clear, the Risenta lasagna sheets did not interfere with the taste of the sauce. I do think I should use some more of the sheets next time. I just had three layers, but the sheets are very thin. I’d add some more sheets if you like an extra bit like me. The last thing I want to touch on is that these soybean lasagna sheets were very easy to cook. I was so afraid I would mess it up, like I always do with normal lasagna. It’s always undercooked or overcooked, blegh! These soybean lasagna sheets were perfect after 30 minutes in the oven at 200 degrees Celsius. The verdict is that I will definitely purchase these myself very soon. I also want to try their other pasta’s and products. I give these Risenta lasagna sheets a ten! 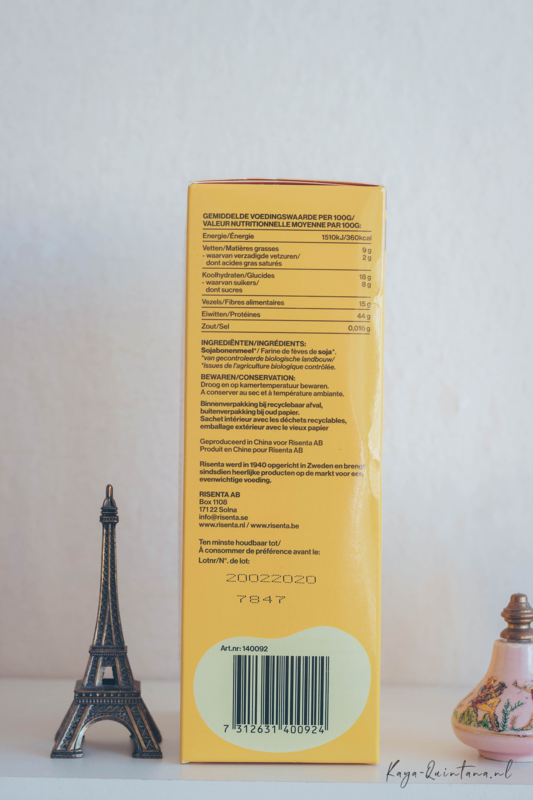 Have you ever tried a Risenta product too? P.S. Follow me on Instagram for more food tips.